With the 72nd season about to get underway, the international Festival de Cannes is one of the world's most widely publicized events and certainly the most important film festival in terms of worldwide impact. We put ten questions to Thierry Frémaux, General Delegate since 2007, on what the Festival de Cannes means today. What is the mission of the Festival de Cannes? In order to achieve this level of longevity, the Festival de Cannes has remained faithful to its founding purpose: to draw attention to and raise the profile of films, with the aim of contributing towards the development of cinema, boosting the film industry worldwide and celebrating cinema at an international level. And to this day, this profession of faith constitutes the first article of the Festival regulations. What is the "Official Selection"? The Official Selection serves to highlight the diversity of cinematic creation through its different sections, each of which has its own distinct identity. Films that are representative of "arthouse cinema with a wide audience appeal" are presented in Competition, while Un Certain Regard focuses on works that have an original aim and aesthetic, and are guaranteed to make a discreet but strong impact on screens around the world. The Official Selection also includes Out of Competition films, Special Screenings and Midnight Screenings, the historically important films featured in Cannes Classics and the Cinéfondation selection of films submitted from film schools.The important thing is that this Selection is both balanced and representative of the love of cinema at the time in terms of creativity and geography. What do the non-competitive selections consist of? The Out of Competition films are often films that have a big impact on the cinematic calendar, and the Special Screenings and Midnight Screenings represent a special opportunity to view more personal works. Restored copies of films that are important in the history of cinema are brought back to life for Cannes Classics, which also offers tributes and documentaries focusing on cinema. In addition to the Selection, cinema lovers can also explore the world of cinema in a different way by attending masterclasses, tributes, or exhibitions which make up the events of an edition. In 2018, there was a particularly strong emphasis on contemporary American cinema with Christopher Nolan, John Travolta, Gary Oldman and Ryan Coogler’s Masterclasses. The most important work, but also the least visible, is done by the "head hunters", who search all over the world and at festivals in order to find the most promising directors. Where do short films fit in at Cannes? At Cannes, short films feature in the Competition, at the end of which the Short Films Jury awards a Palme d’or, and in the Short Film Corner, a professional area dedicated to meeting people, exchanging ideas and promoting films. In 2010, the Festival created "Cannes Court Métrage" to bring these two entities together in a complementary dynamic in an attempt to offer an all-encompassing panorama of short film production worldwide, as well as to stimulate the creativity of short film artists. What initiatives has the Festival set up to encourage film production? The Festival is very keen to discover new talent and act as a springboard for creation. The most important (and least visible) task is performed by the team’s Selection Committee who travel the world and scour film festivals each season to unearth the most promising directors. In 2018, almost half of the filmmakers chosen by the committee had never been part of the Official Selection and especially in Competition, which was a first. As the Festival has developed over the years, a number of initiatives designed to promote the talents of the future have already been introduced: the Caméra d’or is awarded to the best film presented either in the Official Selection, during Directors’ Fortnight or during the Semaine de la Critique, while the Cinéfondation presents film school works and organises the Residence and the Workshop. The development of ‘Cannes Short Films’ is another step in this direction. Together, these initiatives enable us to act as an observatory for the trends shaping the cinema of the future. What do the “Red Carpet Steps” represent today? They are our flagship! No doubt they are the part of the festival that draws the most media attention. For the organisation, they represent above all an opportunity to give an initial and equally special welcome to both the world’s greatest film artists and emerging talent. They also represent an opportunity to honour the creativity of those artists on whom the Festival’s prestige depends. After appearing at Cannes, which boosts directors’ notoriety, the films often enjoy success at cinemas and festivals around the world. How do you maintain the Festival’s international dimension? Every year, the Festival invites filmmakers from all over the world to give their own interpretation of the world of today and tomorrow, creating a world map of cinema. In 2018, more than 120 countries were represented. It’s a virtuous circle: as long as the Festival remains out in front, everybody wants to be at Cannes! Accredited professionals come from all around the world, and there is international coverage of the event in the media. In addition, the Festival de Cannes offers filmmaking countries the chance to showcase the richness of their cinema in the Village International, which hosts an increasing number of countries every year, nearly sixty in 2018. Does the Marché du Film represent the economic side of the Festival de Cannes? From a very early stage, the Festival de Cannes has placed an emphasis on its Marché du Film as a way of promoting the dual cultural and economic nature of cinema, and in 2019, the Marché du Film will be celebrating its 50th anniversary! Today, boasting in excess of 12,000 participants, it is the world’s leading market, serving to add dynamism to the global film industry. It forms an integral part of the Festival in the sense that it also facilitates networking and provides professionals with the services and tools they need in order to exchange information, hold negotiations and uncover new opportunities. What does the Festival do for the general public? A film’s success and its director’s reputation depend above all on how it is received in cinemas. Despite being an event for film professionals only, the Festival is mindful of this reality and is taking steps to improve the way it reaches film enthusiasts. Since 2012, the opening film has been released in French cinemas on the same day as its screening at Cannes and the opening ceremony has been broadcast in cinemas enabling audiences to experience the Festival launch night live. At Cannes, the Cinéma de la Plage screens a different film each night, often in the presence of prestigious guests. These open-air screenings are open to everyone and represent a strong link with the general public and can play host to other events such as concerts, for example. Last year, we began "3 days in Cannes" as encouraging the future love of cinema also forms part of the Festival’s missions. The operation, which involved inviting young people aged between 18 and 28 to discover films from the Official Selection during the 71st edition, will also take place in 2019. What is the secret of the Festival’s longevity? 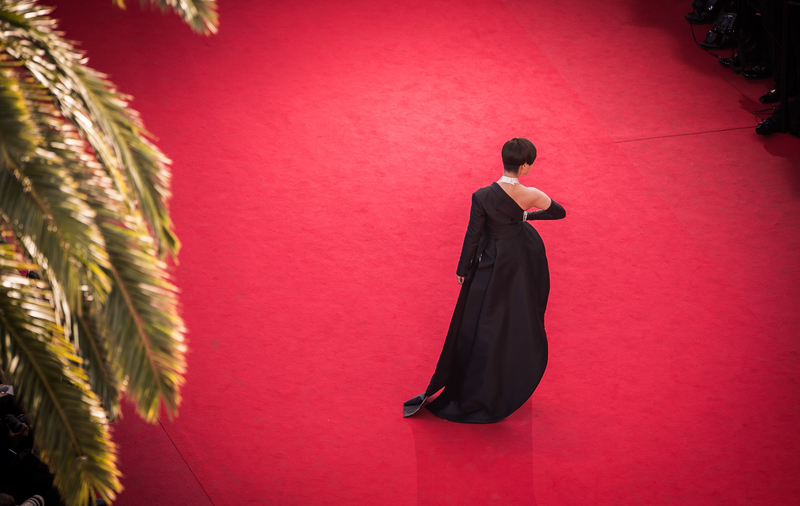 The prestige of Cannes belongs to a very complex trade secret. While maintaining a solid connection with its past, the Festival is very ready to take on board new and original concepts. Over the years, it has evolved, all the while seeking to preserve its core values: the celebration of film, the discovery of new talent, and the bringing together of professionals and journalists from around the world with the aim of contributing to the creation and distribution of films. During every new edition, projects are conceived, experiences are shared and different cultures are discovered: it is this dynamism that makes the Festival de Cannes a true reflection of its time. What will the Festival of the future be like? The Festival is a key event on a global scale. We are constantly endeavouring to help our selected works benefit from this image, by supporting the promotion of directors and their films in regions of the world where they have less prestige than in France. For example, we are already involved in Buenos Aires in ‘La Semana de Cine del Festival de Cannes’ and with the ‘Cannes Films in Bucharest’ programme. At the same time, we are in a world of constantly changing images and as such, we must continue to reinvent ourselves from the inside. The smallest actions undertaken in Cannes can turn into major turning points further down the line, and it’s by constantly asking ourselves questions about the various aspects of the event that we can best prepare for the future with conviction and commitment.